Oh, the excitement of starting a new business! You have done all the right things to set up your business and you have a service to provide that you know will WOW your clients. Everything is ready… except you don’t have a client. Most people do what Robin did when she started her consulting business. Robin spent a thousand dollars and two months to have a professional website designed. No one came to her site. Then, she went to a networking event after networking event and handed out hundreds of business cards. Robin did receive inquiries from these activities, but most were from people who sought free information and advice. Time wasted talking to freebie seekers. Given that Robin’s business was brand new, the legitimate prospects were not convinced enough to hire her because she had no track record. Robin is now desperate so she reaches into her pocket and spends another few thousand dollars on advertising. More inquiries come in but the result is the same: additional wasted hours talking to freebie seekers and failing to convince the few legitimate prospects to hire her over more established competitors. Four months go by… $5,000 spent and Robin still has not gotten her first client. While all those activities are worthy marketing tools that could lead to a paying client, they can be much more effective with one additional element. This one element is the most effective way to get clients, especially if you are trying to get your first client. When starting a business, there should be only two goals behind all your marketing efforts. The first goal is to find one ideal prospect. The second goal is to get that prospect to do business with you. When my first child was born, I left the workforce and started my own home-based business, focused on providing legal contract review services to local small businesses. I started doing marketing similar to what Robin did, but as soon as I found someone who was actively looking for what I had to offer, I stopped the broad-based marketing and focused on just this one prospect. At my first networking event, I met Paul. Paul ran a business selling physician services to local hospitals and needed someone to review his contracts with doctors and the hospitals. Perfect client for me. Paul needed what I had to offer and he was the ideal prospect because he had an ongoing need for my service. He was concerned that I had not been in business long and did not have a history of reviewing contracts like his. So, here is what I proposed. I told him that my rate was $150 an hour, but I would review his first contract for $30 an hour. And if he was not happy, then he did not have to pay me anything and we would part ways after working on the first contract. Done. He hired me on the spot. During that time, I focused all my time and effort to over-deliver on my services and also spent some time building more rapport with Paul. After the first project, we signed a six-month contract for me to review his contracts at my full rate. Within one month, I had my first client. Plus, Paul became my first happy client and recommended me to several other business owners and I got two more clients in the next three months. Here’s the thing. As a new business owner, you are going to be spending your time and likely your money on marketing. Why not make that investment with real target customers who need what you have to offer? Robin spent four months, $5,000 and hundreds of hours talking to anyone and everyone who could possibly need what she offered. 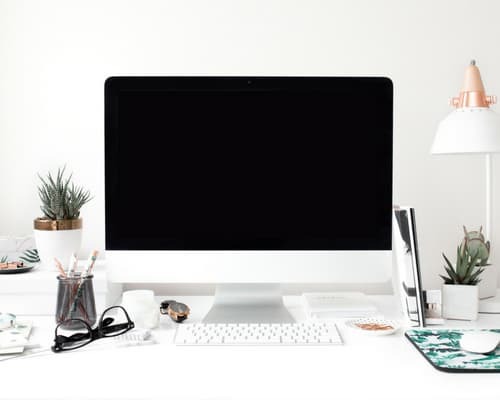 In that same four-month period, I got my first paying client and two more (by referral) by investing less than 15 hours of my time to prove my service and have a chance to build a relationship with an ideal prospect. Research and define who your ideal target client is and how to reach them. Engage in marketing efforts with the goal of finding one ideal target client. Make a win-win, no risk offer to provide a limited defined service to that client (call this your marketing project). Leverage the marketing project to over-deliver on your service and build credibility and rapport with the target client all with the goal of making it a no-brainer for your target prospect to become a full paying client of yours. Getting your first client is a magical thing! 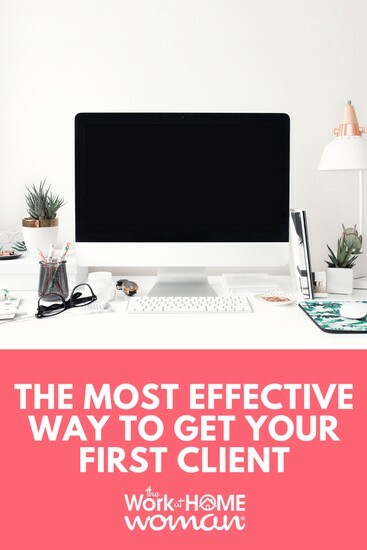 I would love to hear how you got your first client. Please share your stories below. Amyli McDaniel is the Founder of Parent Entrepreneurs, a community dedicated to supporting and teaching parents how to build lifestyle supportive businesses as a means to have more financial security and time freedom so that they and their families can live life on their own terms.